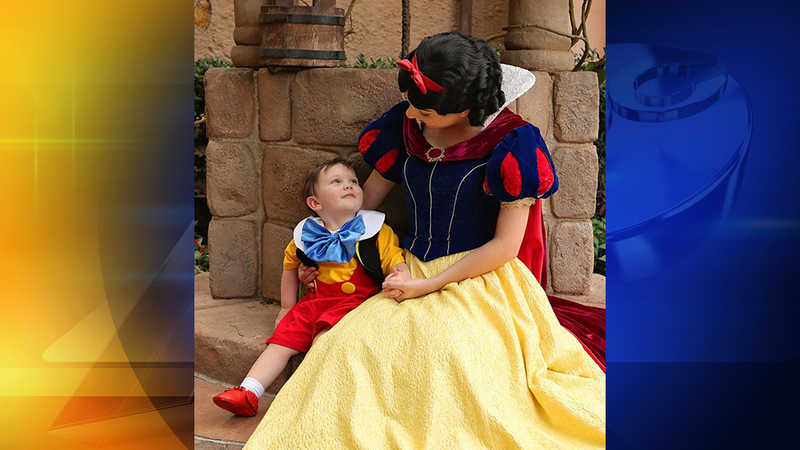 WAKE COUNTY, North Carolina -- A 2-year old with autism falls in love with Snow White at Disney World and his mom caught it all on video and the internet can't get enough. "We see that side of him all the time - he's very lovable with us and shows a lot of eye contact with us ... when he's in the mood," Coley said. "But towards strangers he pretty much ignores them. He doesn't let them pick him up or touch him." "For us to see that type of reaction with someone like Snow White - he's never seen the movie before, he's never seen anything about Snow White before - so for us to see that kind of reaction is huge." Coley and her husband have three sons, and their 9 year-old son Landon has autism also. "He's very high functioning - he rocks back and forth, but is extremely social and loves to sing and dance. He has probably the biggest personality you would find in a 9 year-old child," she said. The Walt Disney Company is the parent company of ABC7NY.